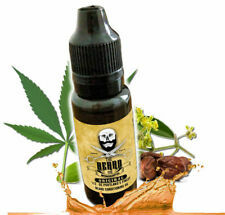 Beard Oil for Men - Grooms Beard, Mustache, boosts hair growth. Beard Whole Kit. Die klinischen Tests zu HairBell beweisen, dass die Haare mit Hairbell drei mal schneller wachsen. In nur vier Monaten kann das Haar schneller wachsen als es normalerweise in einem Jahr wächst. Genährt und mit Feuchtigkeit versorgt, ist das Haar voller, glänzender und kräftiger..
Unterteilen Sie die Haare in Abschnitte und verteilen Sie das Produkt gleichmäßig von oben nach unten. Nun die Haare auf und ab kneten. Benutzen Sie beim Kneten auch ein Handtuch, um überschüssiges Wasser aufzusaugen. SCHWARZKOPF GOT2B GLUED. Hair or i'll spray! Create scandalously strong hold or fix the results of the styling you have already created with the Got2B. Let your hair freeze - until the next shampoo. It’s easy to spread in the palm of your hands, distributes easily through your hair, and is easy to style with your hands or a comb. Original Penguin. Sports Bras. Non-Wired Bras. Multiway Bras. Jackets & Coats. Its natural-base includes extraordinary ingredients that grab onto style and hold on tight. With this strong holding gel, you can stand firm in the spotlight. Work through damp or dry hair and style as desired. You won't find a better Strong hold matt product. For a slightly smoother application, apply to damp hair or add a splash of water to the hands, and mix with the clay. STRENGTHENS, SOFTENS, CONDITIONS, HAIR AND SCALP. Goon Grease is perfect for any hairstyle that requires a heavy hold while still providing you a superior shine. This handmade batch of Goon Grease features a crisp cologne scent with subtle hints of citrus and cucumber. SPIKY EDGE 80g/2.7 fl.oz MADE IN JAPAN. GATSBY MOVING RUBBER. Capacity: 80g / box. Fiber è un prodotto flessibile che può essere utilizzato per modellare e scolpire i capelli in qualsiasi stile, con una finitura opaca ad alta tenuta. A gift from the honey bee to the beardsman! Beeswax’s vitamin A is the guardian angel of the beardsman, defending the skin against allergies and inflammation. Mo Bro's Beard Balm -15ml has been formulated to style and hydrate your beloved man mane, using 100% Natural Carrier Ingredients such as Shea Butter and Yellow Beeswax. Water based formula makes washing off easy. Refreshing citrus scent. Easy to restyle. Spray from 30cm distance evenly all over your style for total hold or apply to individual strands for extra hold and spikes. Use in short bursts. For maximum effect, use got2b glued spiking glue in your wet hair and fix it with got2b glued blasting freeze spray. Great for soft waves, locks, twists or any style your heart desires. Provides extra hold. Great for natural or chemically treated hair. Alcohol free. Non-greasy and non-flaking. Apply thin Layer of Bold Hold Active to skin only. Allow to dry until tacky. (up to 5 layers) Each layer must be clear before adding the next layer. Attach unit, allow to cure for 24 hours before getting wet. Pacinos Hair Grooming Pomade. Directions: Massage an ample amount of Pomade into the palms of your hands. 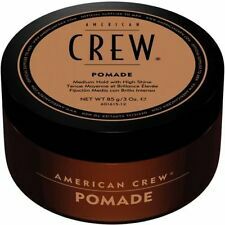 Pomade can be applied to dry hair evenly & shape to your desired style using ifngers, combs or brush. HANZ DE FUKO QUICKSAND HIGH HOLD DRY MATTE FINISH CLAY This groundbreaking formulation adds amazing texture and hold with ZERO shine, breathing new life into oily, slept-on hair. This high-hold product is one part styling wax and one part dry shampoo. Pacinos Hair Grooming Matte Paste. How to use : Massage an ample amount of Matte into the palms of your hands. Matte can be applied to dry hair evenly & shape to your desired style using fingers, comb or brush. STYLING GEL WAX. 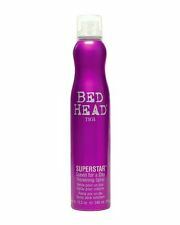 Apply and distribute evenly through hair and style as desired. Use sparingly on towel dried hair or dry hair. If that's the case, this grooming kit will help you maintain the beast! Ranging From A Beard Conditioning Oil & Balm, Beard Styling Comb, Trimming Scissors and Moustache Wax To Lift Those Handlebars! The original Muk Styling Mud: Maximum performance and hold to keep your hair up all night! One for the bathroom, one for the sports bag and one for your mate- if you have one! 3x Mini 50g tins. Brutal hold. Filthy Muk 25g Firm Hold Paste with Textured Finish. For those not yet familiar with the Muk range this is the perfect way to try these great high performance products. Raw Muk 25g Firm Hold mud with Gloss Finish. GEL PER CAPELLI KAARAL MAXI GEL 500 ML - TENUTA DECISA. Run your fingers through your beard, making sure to rub balm into the skin where your beard grows to nourish hair at the roots, Then spread the balm through beard from root to tip. 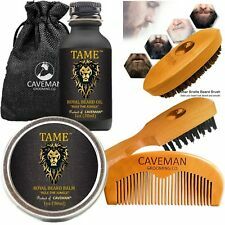 - Gives beard a healthy gloss while making it easier to trim and shape. MITTLERER HALT – NATÜRLICHER GLANZ. BY VILAIN Gold Digger 2.2oz. Lets you manipulate your hair into any style while adding fullness and texture. Warm a small of wax between the palms of your hand. Then apply to dry or damp hair and create your desired look. 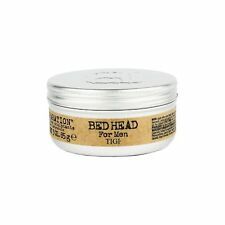 LOCKHART'S lemon Goon Grease Heavy Hold High Sheen Hair Pomade 4Oz. - 4 oz Pomade. Lockhart's Goon Grease is a heavy hold formula with a superior heavy hold AND superior shine! Perfect for pompadours, jelly rolls, slick backs, and everything in between! Ultra Strong Styling Gel. Simply apply to damp or dry hair. Work gel through the hair and allow to dry naturally or style as usual. - Maximum lasting hold. Directions for use - Great for adding texture & definition. Give your style that casually textured touch with EIMI Bold Move Matte Texturising Paste. Got thirsty curls?. Call Now:02392 453256. O'Doud's Matte Paste has finally arrived and trust us, it was worth the wait. Natural waxes, clays, and oils provide a strong, malleable hold that will leave your hair strong and healthy. If there is a problem we will try our best to make it right. Graffetch Color Pencils. Neon Edition. Created for Hair Art. Used for filling in designs, hair lines, etc. 8 colors can be used to create any blend or color combination. Won't drip down with sweat, stays on until washed with shampoo or cleanser. 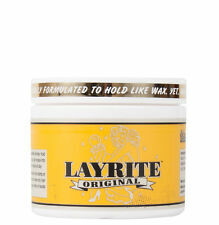 Layrite signature Mild vanilla scent. Leaves hair looking and feeling clean and natural – not hard, stiff or weighed down. Sports Bras. Non-Wired Bras. Multiway Bras. Jackets & Coats. Hoodies & Sweats. New Schwarzkopf Got2b Glued Blasting Freeze Hair Spray 12 Oz. Your hairdo will stay exactly where you want it. - Use for blasting hold. Vast majority of the products will arrive anywhere between 4 to 7 weeks if not sooner. I always reply within 24 hours if not less. BY VILAIN Dynamite Clay 2.2oz. By Vilain Dynamite Clay is a hair clay wax with a strong hold and matte gritty finish. Lets you manipulate your hair into any style while adding fullness and texture. Great for any hair type, allows for re-workability. VO5 Rework Mini Putty Styling Cream – 30ml. Contains: 3 x 30ml Putty. Travel sized 30ml. 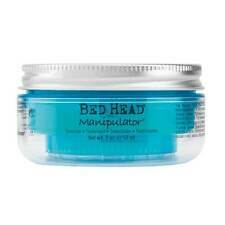 Ideal for short styles to manipulate hair in any direction with a long-lasting hold. Ideal to sculpt and create any style. 6 oz. Chi Silk Infusion. Silk Reconstructing Complex. 150ml. NEW. FREE SHIPPING. 2 PACK. 8.5 oz. Matrix Curl Life Defining System # 2 Extra Intense Conditioner.